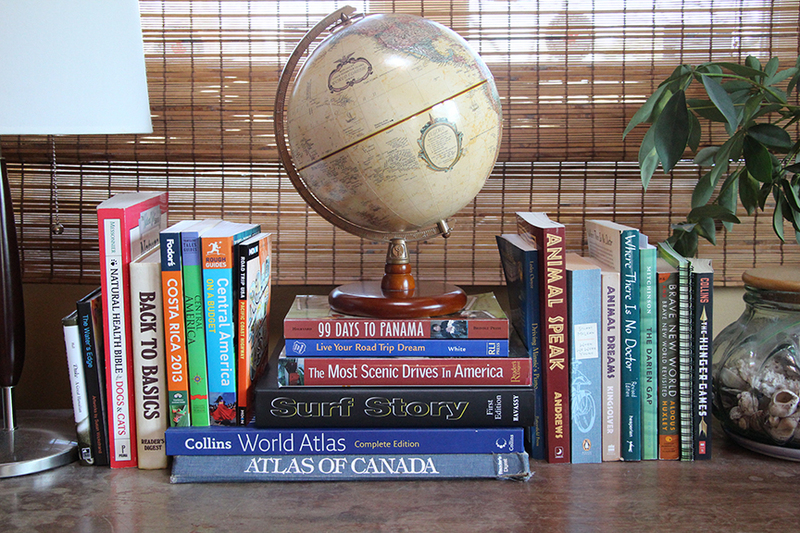 Daina's living room book nest. 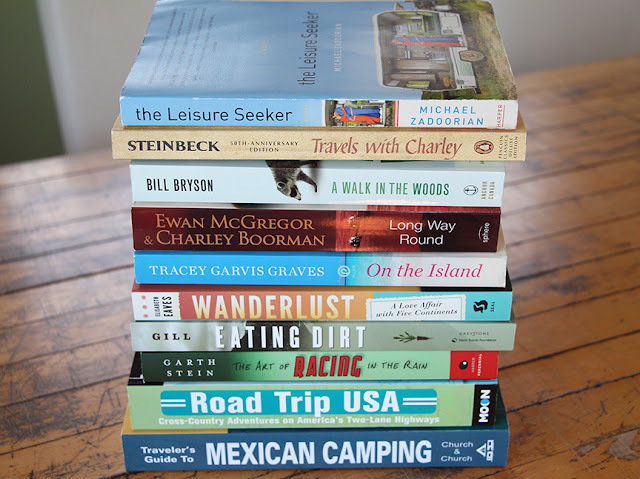 I recently got an email from one of my FB fans asking me what I'm reading lately, and how she really likes my book posts (see My Love Affair With Books). Thanks for that, and for inspiring me to keep sharing my favourite books! Book nest in Daina's home art studio. In my home studio, I have a great collection of art books I like to reference often. 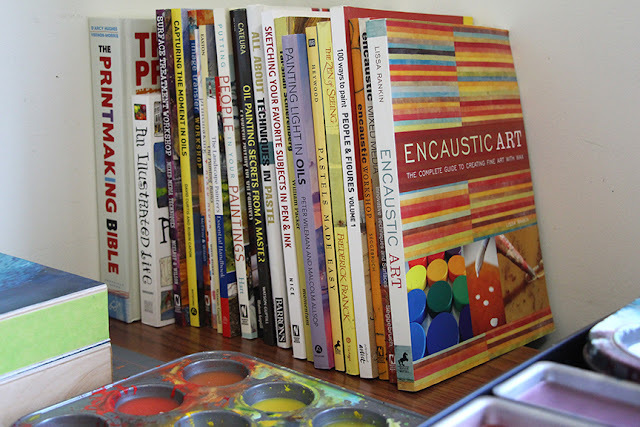 I have books from print-making, to collages, to oil painting, pastels, and encaustic techniques. Daina's current book line-up, 2013. The next best thing to travelling, is reading stories about travelling. With our Big Roadtrip shining on the distant horizon, I have a serious case of the wanderlusties that no 1-week getaway will satiate. If you love such reads, too, I guarantee you will be swept away with The Leisure Seeker by Michael Zadoorian. This story moved me so, and I found myself wholeheartedly cheering for Ella and John's last big adventure, despite their odds. In some ways this story made me think of my mom and dad in 20 years, paralleled with a cross-USA roadtrip we embarked on when my sister and I were kids. I found myself smiling and laughing out loud throughout this entire book. I'm currently reading Steinbeck's Travels with Charley and I'm really, really enjoying Steinbecks language and colourful accounts of his adventures. Another good read is On the Island by Tracey Garvis Graves. The cover is a bit misleading and seems to be aimed at gals, but I know guys will really enjoy this book, too. It's told through the point of view of a 16-yr old boy and a 30-yr old woman, who go down in a plane crash and survive alone on an island. The historical period transpires through 9-1-1 and the 2004 South Asian tsunami. This might be in the works to become a movie.